There a number of important factors which highlight a good quality removal service. One of the essential aspects is safety of items during handling and transit. Safety of items during the removal does not only depend on the mover teams, but also on the way items are packed, secured and prepared for transportation. 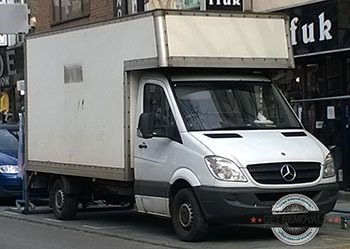 Removals Covent Garden are a professional moving company that has the technical capacity and expertise to cover all stages of the removal process from start to end. Naturally, this also includes packing of your items for more protection. Our expert movers will handle the packing of your belongings with professional pace and efficiency. We will spare neither effort nor material in ensuring the safety of items in our care, and will have them delivered on time and intact. Safe and efficient transportation of customer’s belongings is always a priority. This is why we work with experienced drivers and maintain a large number of different size and load capacity cargo vehicles ranging from compact city vans to heavy duty Lutons. Adequate transportation means shorter service times and more cost efficiency for our customers. When talking cost efficiency, our private and business customers will be pleasantly surprised with the affordability of our domestic removals and business removals. We will provide everyone with free, no obligation service quotes and flexible pricing to meet the budget requirements set forth. More so, we offer midweek discounts on all removal services. Customer satisfaction and coverage of all requirements goes without saying. Our Covent Garden removal team maintains attentive round the clock customer support, seven days a week. We coordinate all stages of the relocation project with our call centre. If required, we will conduct a preliminary job surveying as to organise things in the best possible way. We will also provide adequate technical advice from start to end. The company holds full liability insurance and nationwide licensing. Convenience and versatility of our moving services is unrivalled. We do deliveries to all towns and cities in the country, we do collections throughout London and surrounding areas. We handle all types of residential and commercial property removals. Specialised furniture removal or piano removal is also available. We also offer efficient and affordable waste collection solutions. Having us deal with your property relocation means fewer hassles and more time and money to explore one of London’s best known districts. Covent Garden occupies the eastern fringes of London’s famous West End. Covent Garden is associated with the former fruit and veg market that was there and was of big importance to the city. Nowadays, the market has changed to a popular tourist attraction. 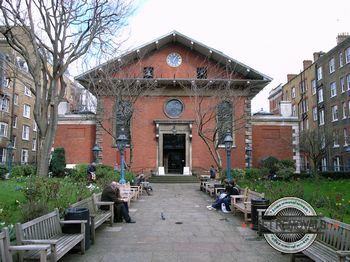 Generally, there are too many important sights and places of interest in the Covent Garden district to list. One of the better known ones is the Royal Opera House i.e. Covent Garden itself. The area’s central square is abundant with retail shopping, independent stores, multiple attractions, notable buildings and scores of impressive street performers. There are also a number of famous theatres and other classy entertainment facilities.